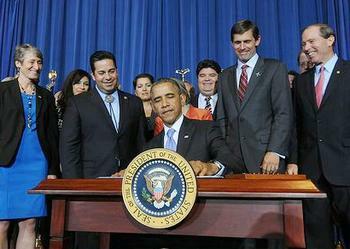 WASHINGTON, DC, May 21, 2014 (ENS) – President Barack Obama has proclaimed Organ Mountains-Desert Peaks region in south central New Mexico to be a National Monument, extending the protective status across more than 775 square miles. Retired U.S. Senator Jeff Bingaman, U.S. Senators Tom Udall and Martin Heinrich, and community leaders from New Mexico joined the President and Secretary of the Interior Sally Jewell Wednesday for the signing ceremony at the Department of Interior. Signing the proclamation, the President recalled with a grin the feeling of going on a hike “without a security detail behind me. It’s a wistful feeling,” he said as the crowd chuckled. The caves and peaks and cliffs of this region bear the marks of thousands of years of history. 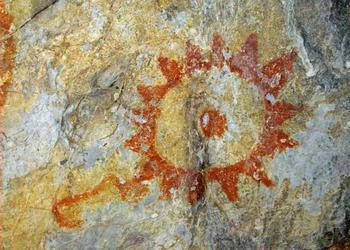 “From the rock art of some of the first Native peoples living on the land to the trail traveled by some of the first overland mail carriers. 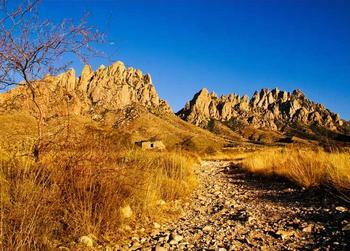 Some of the most notorious adventures of the Wild West were written in the Organ Mountains-Desert Peaks region,” said Obama, recounting that the outlaw Billy the Kid took cover in the Robledo Mountains and inscribed his name there. Obama cited a recent study showing that the Organ Mountains-Desert Peaks designation as a National Monument could double the number of visitors to the area and help grow the local economy by more than 70 percent, while preserving access for sportsmen, ranchers and recreational users. “So whether they’re hiking or camping or fishing, visitors to our parks and public lands are not only enjoying the bounty of our natural resources, but also they’re promoting jobs and they’re promoting growth. And continuing to set aside federal land for outdoor recreation will drive critical revenue for those local communities, and preserve our pristine lands for generations to come,” said Obama. The Organ Mountains-Desert Peaks National Monument is the second national monument Obama has designated this year, the 11th overall. 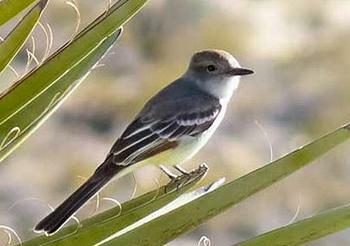 “I’ve preserved more than 3 million acres of public lands for future generations. And I am not finished,” he said, promising to “preserve federal lands where communities are speaking up,” with or without the cooperation of Congress. Bingaman began working with the local community to develop this proposal in 2007. Udall and Heinrich introduced the Organ Mountains-Desert Peaks Conservation Act in the Senate last December, where it is still stalled in committee. Senator Udall is pleased with the National Monument designation. “New Mexico has a new national monument today, thanks to thousands of New Mexicans who worked as part of a grassroots effort. They spoke up and worked hard, and I want to say a big congratulations to them,” Udall said. Environmentalists are delighted with the new National Monument. The new national monument encompasses Broad Canyon, Sleeping Lady Hills, Rough and Ready Hills, Picacho Peak, Mount Riley, Peña Blanca and Bishop’s Cap, and contains more than 5,000 archeologically and culturally significant sites.